Step one, pick your shape! Whether you want round, square, oval or squoval the nail shape options are endless, pick a shape that suits your lifestyle. We recommend oval for low maintenance, and a shape easy to achieve. For an easy square shape, trim and using a nail file shape them straight across! Want something a little softer? Opt for a Squoval shape, file your nails in an oval as you normally would, and then shape it across the tip to square it out a little. For on trend Almond nails find the centre spot at the tip of the nail and shape both sides so that it makes a peak at the centre point. Then, smoothen it out, so that there aren’t any sharp edges. The key is to not overbuff your nails, overbuffing nails can weaken them. 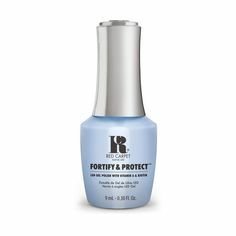 The Red Carpet Manicure 100/180 Buffer is gentle on natural nails. Use the rough side of the buffer to remove any ridges on the nail and flip over to the smoother side to add a little shine to your natural nail. When buffing use single stroke motions being careful not to buff the skin around the nail. 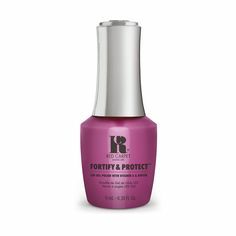 Remember, applying a cuticle oil daily can improve the overall health of your nail! We recommend our Revitalize Cuticle Oil for daily maintenance, or if you’re prone to dry cuticles opt for our Hyper Hydrator Cuticle Oil.